Unlike a full denture, a partial denture replaces some, but not all, of the teeth on the upper or lower mouth of a patient. 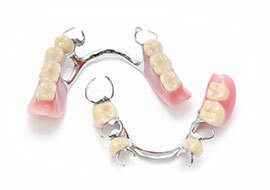 Our partial dentures are custom fit to each patient for a natural appearance and comfortable fit. 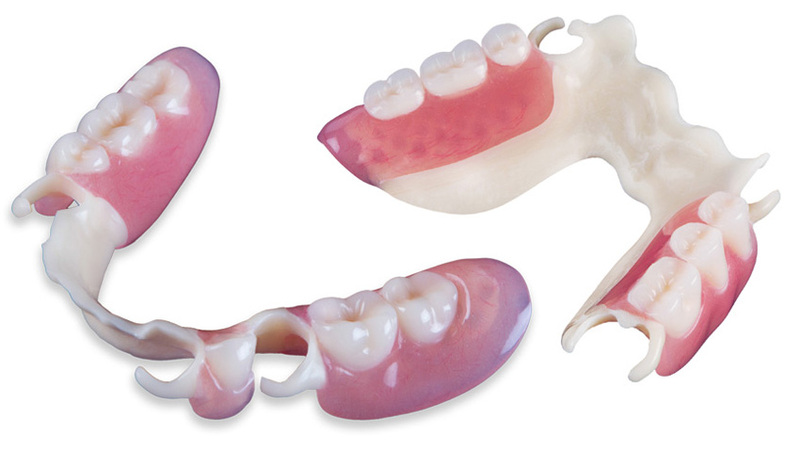 We offer affordable standard partial denture service and affordable Ultra Plus partial denture service. Our Ultra Plus service uses the very best materials and teeth and will normally wear longer and be less prone to accidental breakage. A cosmetic "flipper" partial that can replace up to 6 teeth can be made while-you-wait in about 3 hours. 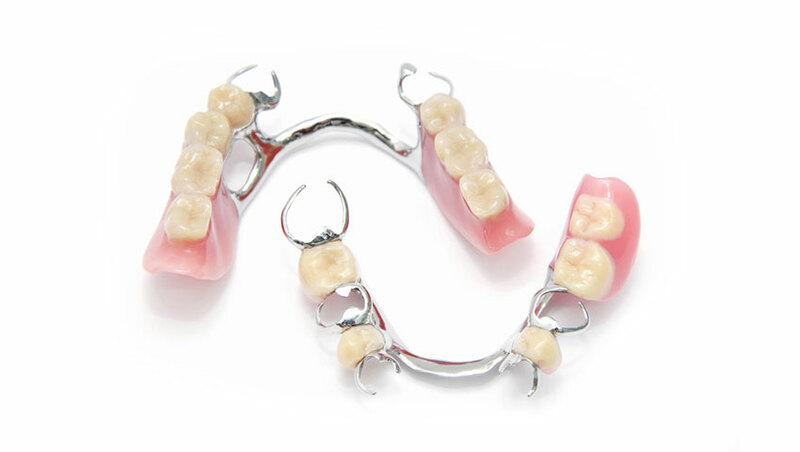 The normal process to make new partial dentures (with metal or flexible materials) usually takes about two and a half weeks. 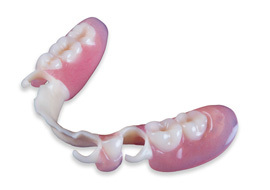 There are four fittings to make sure the look and function of your partial dentures are to the highest standards. 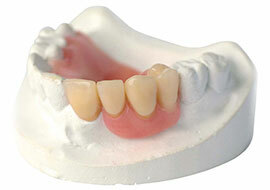 The final step before metal or flexible partials are processed is a wax try-in. This step allows you to see what the partials look like in place, and changes can be made if needed. This way you can be confident of what your smile will look like before you take delivery of your new partial dentures.